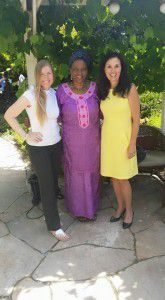 This week, we shot an amazing “World Changers” TV interview with Dr. Tererai Trent. Oprah Winfrey has singled her out as her favorite guest of all time, and as inspiring as Dr. Trent is, it’s not hard to understand why. 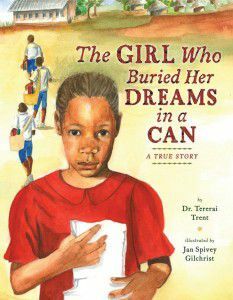 Her beautiful picture book “The Girl Who Buried Her Dreams in a Can” is a true story teaching children and adults to persevere, and believe in our dreams. The book traces Trent’s unlikely path from a Zimbabwean village where girls weren’t allowed to attend school to a brilliant career in education – and the founding of her own school. The story is an inspiring one: When denied access to the classroom as a child, Trent forged ahead anyway, teaching herself to read and write from her brother’s books. When she was discovered doing his homework (and doing it much better), the teacher begged Trent’s parents to allow her to attend school. After attending for a short while, she was married off young, as is the custom. At 18, Trent had three children of her own, and was still without a high school diploma. 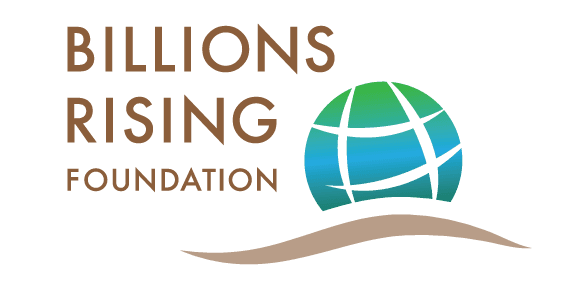 When her village was visited by Jo Luck from Heifer International, the young Trent was asked a question: What is your greatest dream? Trent knew the answer. She wanted to travel to America to earn her bachelor’s degree, master’s degree, and PhD. Apparently encouraged by her mother, Trent wrote these dreams down, put the note in a tin can, and buried it. Three years after moving to the U.S. In 1998, she earned her bachelor’s degree in agricultural education; five years later she earned her master’s degree. After garnering each diploma, Trent traveled to Zimbabwe, dug up the tin can and checked off her dreams as they were accomplished. In 2009, she earned her doctorate from Western Michigan University. Dr. Trent’s segment is sure to be one of the highlights of our upcoming “World Changers” TV Pilot. For more information about Dr. Tererai Trent, you can visit her website here.